As a Florida resident, you’ve surely heard of them. They knock on your door or solicit you by phone promising that they only want to help, but their intentions are anything but beneficial. Storm chasing contractors are wolves in sheep’s clothing, and it’s important that you are aware of their evil ways. For those of us who run reputable construction companies, it’s hard to find time to breathe after a devastating storm. At Hi-Rise, we’re continuing to keep up with the inbound demand of commercial and residential projects following the hurricane season, and the same can be said for our partners and competitors in the Florida roofing market. With so much work to be done, questionable companies are infiltrating the market, often coming from out of state to cash in on the devastation. Unfortunately, some of the projects we’re working on are attributed to families and business owners who need to repair a raw deal that they got from these exploitative contractors. To be fair, it can be tough to spot storm chasing fraudsters, but there are some best practices that you should allude to before signing a contract. Be patient when searching for a repair. Understandably, many families and companies are quick to find help after their home or building has been affected. Desperation leads to vulnerability, and storm chasers prey off this reality. Do your research. Reach out to the Better Business Bureau with the company’s name and information. Look on social media to find reviews, and ask your neighbors who they’re hiring. Don’t go for the first company you find; get more than one bid and access which option is best. Avoid any company that demands a large down payment or offers suspiciously low prices. Contact your insurance company. Ask your insurance representative what is covered under your current plan. 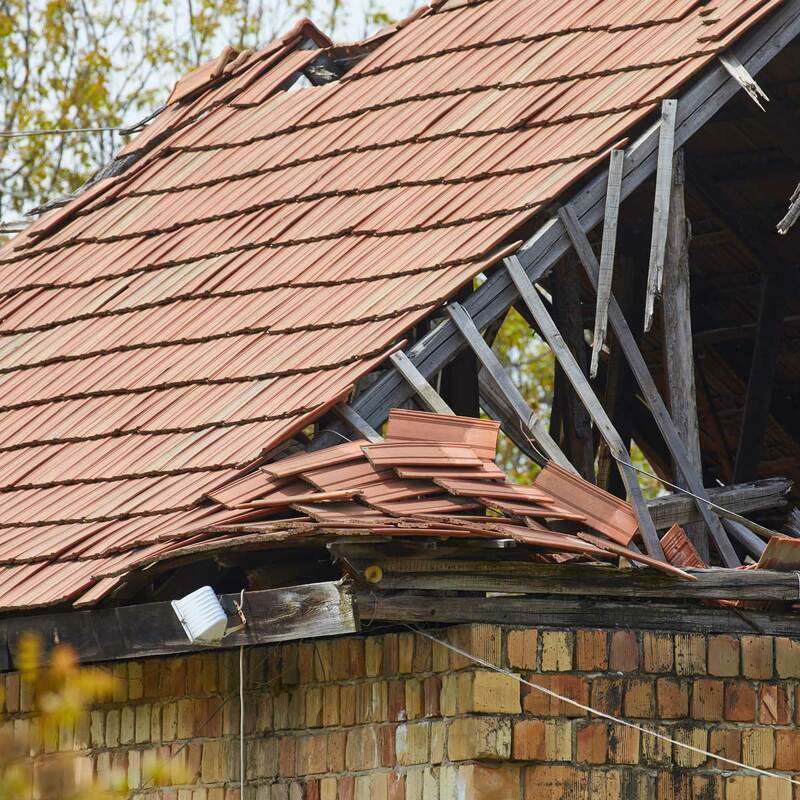 An insurance adjuster will be able to estimate a reliable quote that you can use to judge whether a contractor’s price seems too good to be true. Scammers will usually offer to pay an insurance deductible, or falsely declare that your insurance company will pay for a new roof. If a contractor wants to estimate the cost as opposed to involving your insurance company, a red flag should immediately raise in your head. Choose a local roofing company. We cannot stress this enough. As we mentioned above, many fraudulent contractors come from out of state and don’t plan to stick around. If their trucks have out of state tags, be wary of engaging with the company at all. Simply put, they have no incentive to produce high-quality work because it’s nearly impossible to hold them accountable once they’re gone. A long-term contract or warranty isn’t reliable with out of state contractors, whereas a local company will always be near when a problem arises. You’ll always be able to stop by a local roofing company’s office if you need their services in the future. Ask the contractor for certifications and necessary documents. Make sure they are licensed locally and have certifications of workman’s compensation and liability insurance. Demand a written promise of return if the contractor leaves the state, and do not sign any vague contingency agreements that fail to mention any local insurance. Finally, ask for documentation that proves all materials are paid for, or else you’ll be left paying twice for supply costs. Don’t risk your home or building’s safety by the hands of a storm chasing contractor. If your property is damaged by inclement weather, always stand guard against scammers for every repair that is needed. If your roof needs repair, reach out to the trusted professionals at Hi-Rise to service your needs.